According to the Analysts at Fitch Ratings, they have found that loans modified after 2014 have higher re-default rates. The data was published was part of the company’s “Historical Modification Data Review” which analyzed Fannie Mae’s dataset for modified single-family mortgages. The dataset contained 700,000 loans and a $135 billion balance. Of these, 448,000 loans were still active with an outstanding balance of $75 billion. Based on the data being collected since 2009, there is a strong tie between new loan modification and higher re-default rates. Analysts found that loans modified after 2014 have higher re-default rates, with 2015 being the highest since 2010. The report cites weak credit attributes as a possible cause for the spike since the average FICO score was only 592. These loans re-defaulted quickly after modification. Seventy-five percent of them within the first two years alone. The majority of the loans included in the report were modified per one of the following three programs: Home Affordable Modification Program (HAMP), Streamlined Modification Program (SMP), Standard Modification. Unlike HAMP and Standard Modification, which use step-up mortgages and require documented hardship, SMP doesn’t require the borrower to have a documented hardship and focuses on fixed-rate modifications. Although SMP loans comprised much of the outstanding balance in the dataset ($35 billion, or 47 percent of the overall balance), the highest re-default rate is found in Standard Modification loans. These borrowers typically don’t qualify for HAMP or have defaulted on HAMP before. 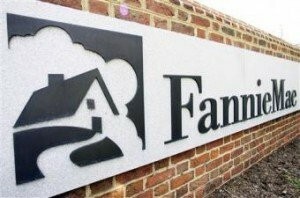 Fannie Mae plans to replace Standard Modification in late 2017 with the Fannie Mae Flex Modification Program. HAMP loans had the lowest re-default rate out of all three programs. The analysts predicted that the trends identified in Fannie Mae’s historical dataset are predominant in loans not only owned by Fannie Mae, but other institutions as well.